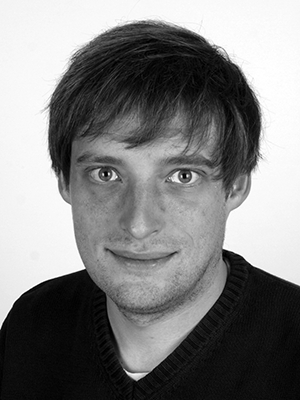 Jan Martin Brockmann started to work in the Theoretical Geodesy Group already as a student assistant in 2007. After the finalization of the diploma degree course “Vermessungswesen” and his diploma thesis in the Theoretical Geodesy group he received the degree Dipl.-Ing in 2008. 2008 he started in the Theoretical Geodesy group as a PhD candidate and worked in the context of gravity field recovery from observations collected by the satellite mission GOCE. As a member of the EGG-C and the ESA HPF Team he was involved in the official processing of the observations and contributed significantly to the generation of the gravity field models computed with the so called time-wise approach. The computational requirements brought lead towards the field of high performance computing. He defended his PhD thesis “On High Performance Computing in Geodesy — Applications in Global Gravity Field Determination” in that context in 2014. Since 2014 he is working as postdoctoral researcher in the group, still working in the context of high performance computing and global gravity field determination. Currently the focus is on the joint estimation and separation of gravity field and geodetic dynamic ocean topography models from altimetry observations. Here again high performance computing plays an important role. S. Becker, J. M. Brockmann, and W.-D. Schuh. Mean dynamic topography estimates purely based on GOCE gravity field models and altimetry. Geophysical Research Letters, 41(6):2063–2069, 2014a. S. Becker, M. Losch, J. M. Brockmann, G. Freiwald, and W.-D. Schuh. A Tailored Computation of the Mean Dynamic Topography for a Consistent Integration into Ocean Circulation Models. Surveys in Geophysics, 35(6):1507–1525, 2014b. J. M. Brockmann, N. Zehentner, E. Höck, R. Pail, I. Loth, T. Mayer-Gürr, and W.-D. Schuh. EGM_TIM_RL05: An independent Geoid with Centimeter Accuracy purely based on the GOCE Mission. Geophysical Research Letters, 41(22):8089–8099, 2014a. J. M. Brockmann, L. Roese-Koerner, and W.-D. Schuh. A concept for the estimation of high-degree gravity field models in a high performance computing environment. Studia Geophysica et Geodaetica, 58(4):571–594, 2014b. R. Pail, S. Bruinsma, F. Migliaccio, C. Förste, H. Goiginger, W.-D. Schuh, E. Höck, M. Reguzzoni, J. M. Brockmann, O. Abrikosov, M. Veicherts, T. Fecher, R. Mayrhofer, I. Krasbutter, F. Sansò, and C. C. Tscherning. First GOCE gravity field models derived by three different approaches. Journal of Geodesy, 85(11):819, 2011.